WASHINGTON -- It has been more than 42 years since the Rev. Dr. Martin Luther King Jr. was gunned down at the Lorraine Motel in Memphis. 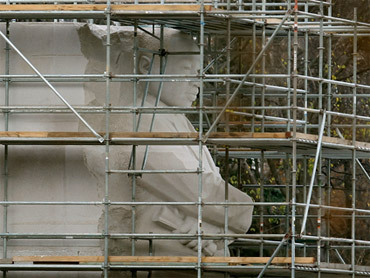 The Martin Luther King Memorial is slated to open this August on the National Mall in Washington, D.C. The $120 million dollar project, more than 20 years in the making, will feature a 28 foot statue of the slain civil rights leader, as well as granite stones with 15 of his most famous quotes. The memorial will be between the Jefferson and Lincoln memorials. NO non-president has been so honored on the mall. CBS News correspondent Russ Mitchell was given unprecedented access to the memorial, which is almost three-quarters complete.